Where to go in Ginza? What is special and cool in Ginza? Ginza is made up of straight lanes, tall buildings, lots of department stores and might not look all that special for a first-time visitor. 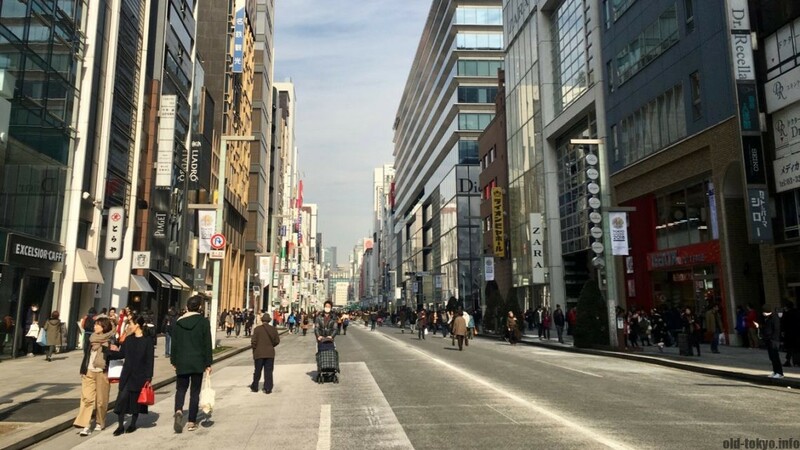 In this article I list up a number of places to visit in Ginza that are worthwhile from a historical and cultural perspective, following my article on how to make sense of Ginza. 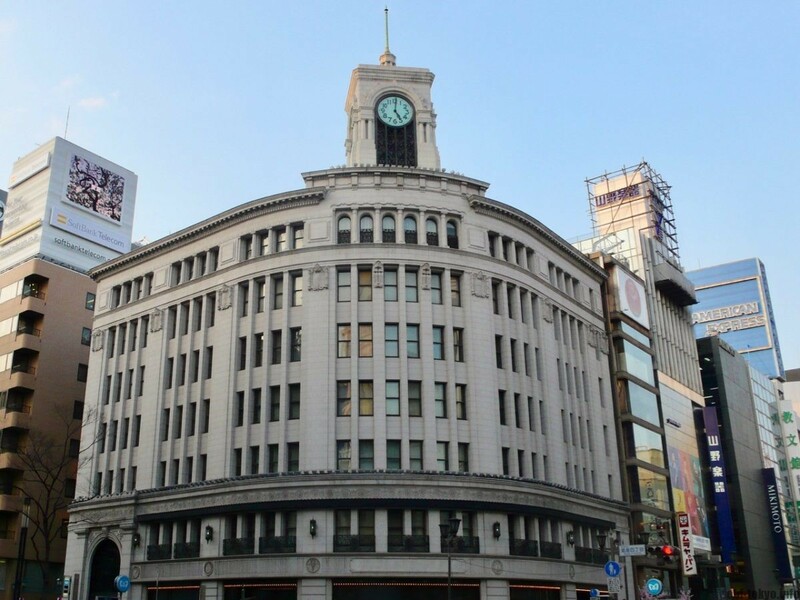 This is the ultimate Ginza sight: the art-deco Wakō department store building with Hattori Clock Tower on the most important intersection of Ginza. It defines the face of Ginza since the first clock tower was completed in 1894. The second and current clock tower was completed in 1932 and survived the World War II bombings. The watchtower is the pet project of Kintarō HATTORI (1860-1934), who established at this location a watch and jewelry shop in 1881. Kintarō is the guy behing the brand SEIKO that grew into one of the largest watchmakers in the world. The Wakō department store that he established later is nowadays not so special, unless you are looking for very upscale watches, porcelain, handbags and other expensive foreign goods. It is more interesting to get something to eat or drink across the street in Ginza Place (with Sony showrooms) where you can enjoy a great view of the crossing and clock tower. Shopping is what Ginza is famous for. Shopping for the latest expensive brands, but also shopping as a way of cultural exploration. The various department stores tend to retain many aspects of the age they were built. 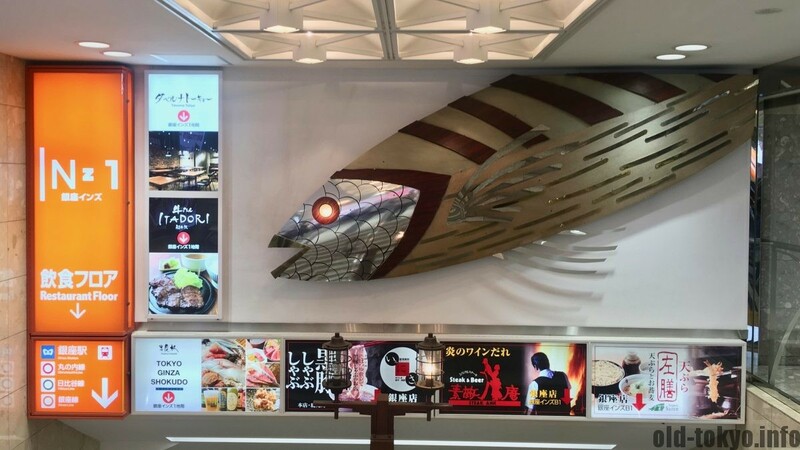 Going to Ginza Six (inaugurated in 2017) is all the rage these days. However, many of the Ginza department store buildings were built in a much earlier age and have kept their clients, who as you might have guessed, aged as well. I recommend stopping by Ginza INZ to get a taste of that. Check my in-depth article on Ginza INZ. To get a taste of the classic department stores for which Ginza is famous, also stop by Japan’s two oldest retailers: Matsuya (major Ginza store since 1925) and Mitsukoshi (major Ginza store since 1930). However, for a true old-style and majestic department store, Mitsukoshi’s main store in nearby Nihombashi (completed in 2004) is unbeatable. 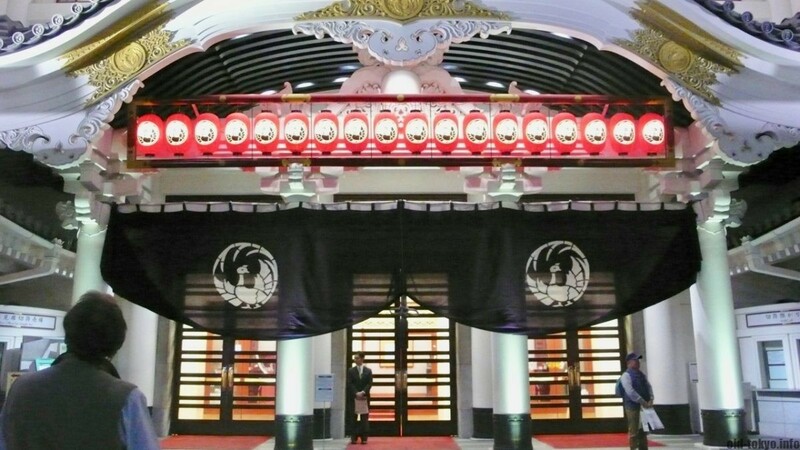 Tokyo’s foremost kabuki theater is especially impressive at night, but inside is where it’s at. This traditional looking building was completed in 2013, following the design of the 1924 building that was destroyed during the war and rebuilt after the war. However, in 2010 this postwar structure was deemed not up to modern standards and was rebuilt again. Going to a kabuki performance is very accessible as you can buy tickets for individual acts priced as low as JPY 600 for 20 minutes, but if you want to see a full performance at the best seat in the room, be prepared to pay JPY 20,000. Tickets available online (only for full performances). Of course, the show is in Japanese, but English language subtitle device/audio guides are available. These are actually also used by the Japanese themselves who can switch to regular Japanese as the language in the performances is rather archaic and nearly impossible to understand. If you do not want to see a performance, you can still get a glimpse of the kabuki world in the Kabukiza Gallery. This is a small museum about kabuki on the fifth floor (English pamphlet with explanation available). Please note you need to enter through a separate entrance on the left hand side of the building and tickets cost JPY 600. For more information, check Kabukiza Gallery’s website. Nakagin Capsule Tower is a residential and office tower on the Shimbashi side of Ginza. It was built in just 30 days in 1972 through a new concept stitching together individual capsules. Weekly group visits in Japanese and English are on offer and the capsules are available for a one-month stay. The architect who designed this building is Kisho Kurokawa (1934-2007), a leading Japanese architect and one of the founders of the Metabolist Movement. He is a renowned architect responsible for many landmark buildings around the world such as the Kuala Lumpur International Airport and the Saint Petersburg Stadium. In Tokyo it is worth visiting The National Art Center in Roppongi. 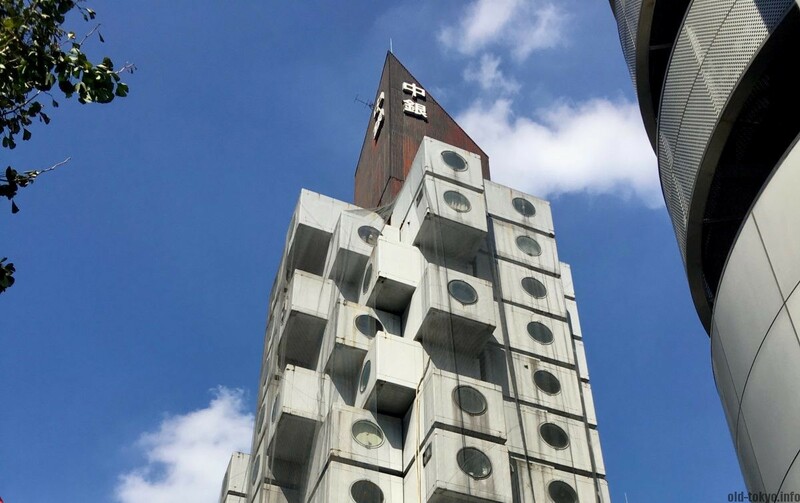 Read my full article on Nakagin Capsule Tower. Ginza is home to some of the most famous and stylish cafes in Tokyo. During the boom of cafes during the first half of the 20th century in Japan, many of them were opened in Ginza, the unmatched downtown area of Tokyo during this time period. Some of them are still going strong after 100 years. Even though none of them are housed in their original building, their spirit lives on in the name, interior and drinks. Ginza Tricolore (1936), Café Paulista (1911), Shiseido Parlour Salon de Café (1902), Café de l’Ambre (1948), Cafe de Ginza Miyuki-kan (1969) and Tsubakiya coffee (1978) are just some of the cafes in Ginza where you can still enjoy a good cup of coffee. 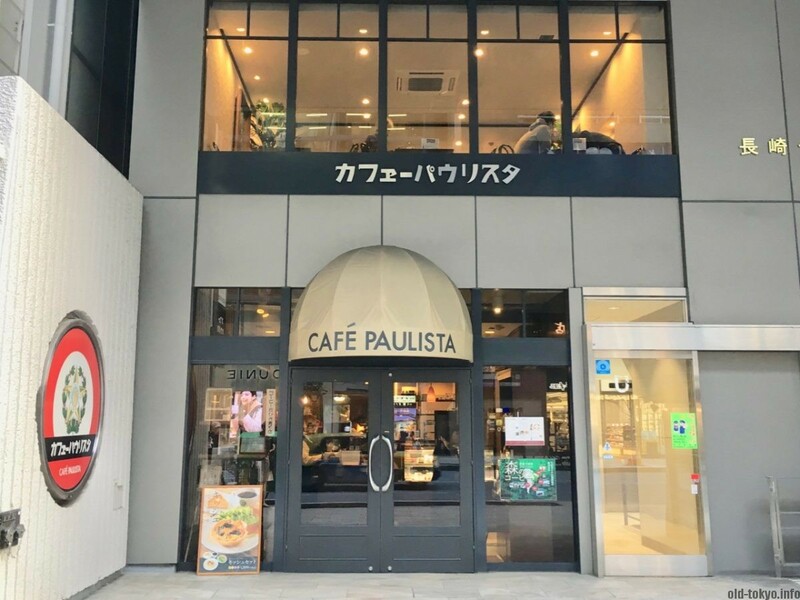 If you would only choose one to visit, I recommend Café Paulista. Or read my full article on Ginza Retro Cafes. Ginza is not the place with famous city views, but fine dining and exclusive shopping will take you up high. Especially during the night it provides an irresistible city experience when you see the lights of the skyscrapers around you and the car lights below. 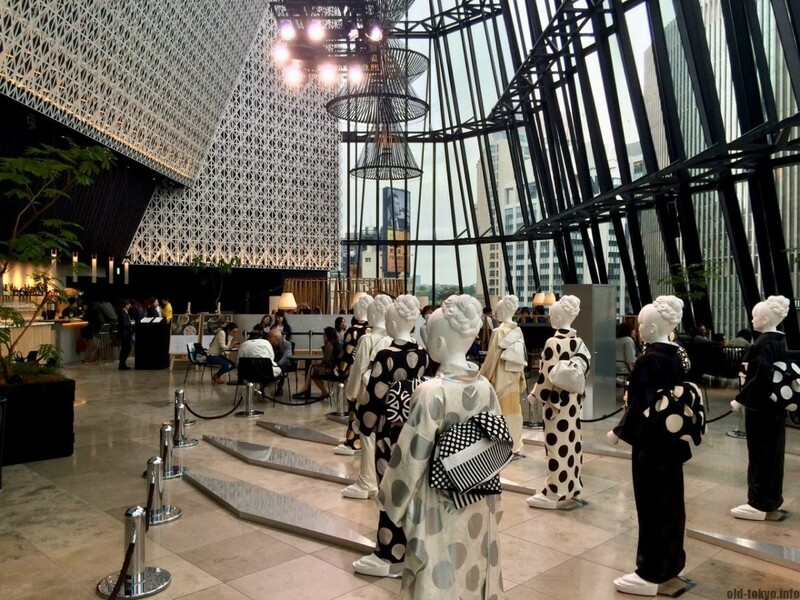 In particular the Kiriko Lounge of Tokyu Plaza is not too miss. Not very old, but thanks to the special setup of the slanting windows, you’ll be immersed in Ginza life, day and night. Another interesting place is the Ginza Sky Lounge, a classical French restaurant with full 360 panoramic view that is revolving on top of one of the buildings. All this with live piano music at night. Somehow I feel that’s the epitome of what Ginza is all about. The street along the railway tracks on the West side of Ginza, called corridor-gai, is one of the most busy you can find in Tokyo at night and is one of the primary spots in Tokyo for office workers to hook up. 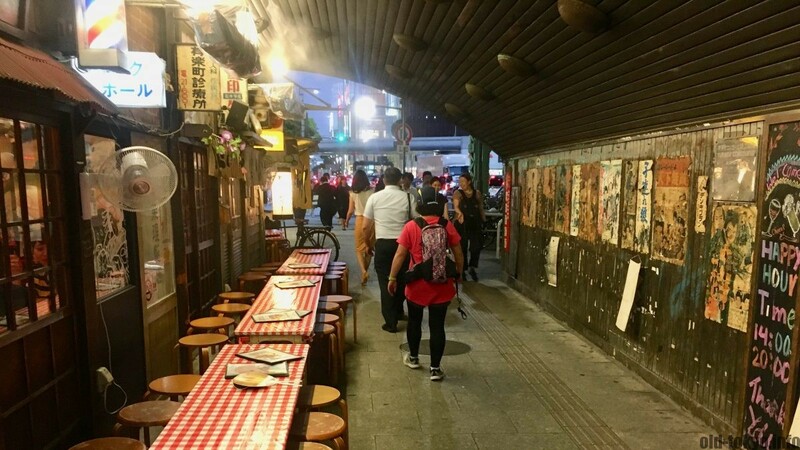 This long street connecting with Yurakuchō is lined up with restaurants and bars to offer entertainment for the tired Tokyo salaryman. Many yakitori joints, sushi places and all type of cuisine from over the whole world. Tsukiji Fish Market Closed!An end of an era.